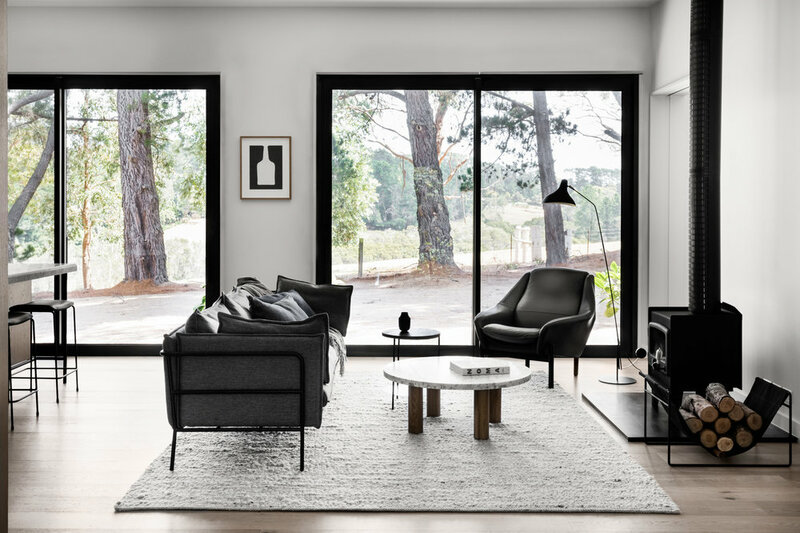 Nestled within the native landscaping and sprawling paddocks of the Mornington Peninsula, the secluded Merricks Guest House is the perfect long weekend escape. 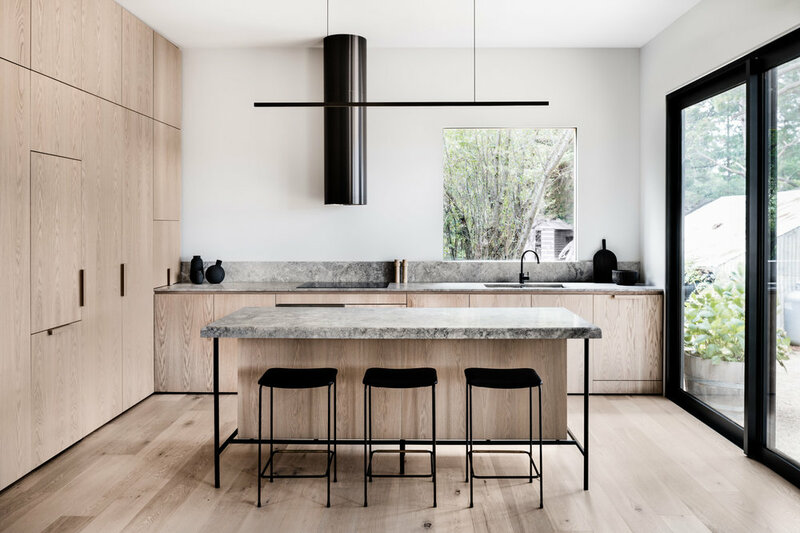 With dark bronze accents, marble bench tops and smoked oak timber, the light filled kitchen is the heart of this sensitively balanced interior. Connected to the surrounding landscape with ivy draped radial-sawn silvertop ash weatherboards and warmed by a wood burning fireplace atop a custom made steel hearth, it’s easy to find a piece of calm in this considered two bedroom studio.